Limited knowledge – Many people have limited knowledge of how the adoption process works and as a result it is often not an option that they naturally consider. Thankfully, with the aid of adoption bodies such as NACSA, there are many avenues available to find out about and embrace adoption as the best permanent alternative solution for adoptable children. Social and cultural – there are countless myths around cross-cultural adoptions, even more so in same culture adoptions where social norms heavily influence the practice of adoption. 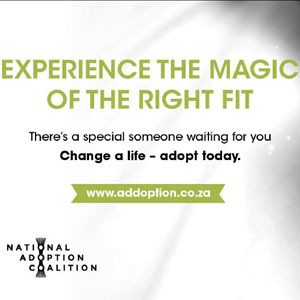 Overcoming these myths and highlighting the magic that the right fit brings to a family is at the heart of NACSA’s world adoption day campaign. Systemic barriers – Adoption is a long and cumbersome process that has its fair share of systemic challenges and delays. A lack of experienced operators on the ground that have the capacity and expertise to mediate the adoption process is a focal point that the adoption community continues to work on. Affordability – Many families are experiencing the impact of challenging financial times which could influence their decision to adopt. However, the adoption process itself is not a costly undertaking, with many service providers rendering their services free of charge, which makes it affordable. Experiencing the magic of the right fit is what NACSA’s adoption campaign is all about for 2018. There are so many families who would really like to adopt, but don’t know where to start. 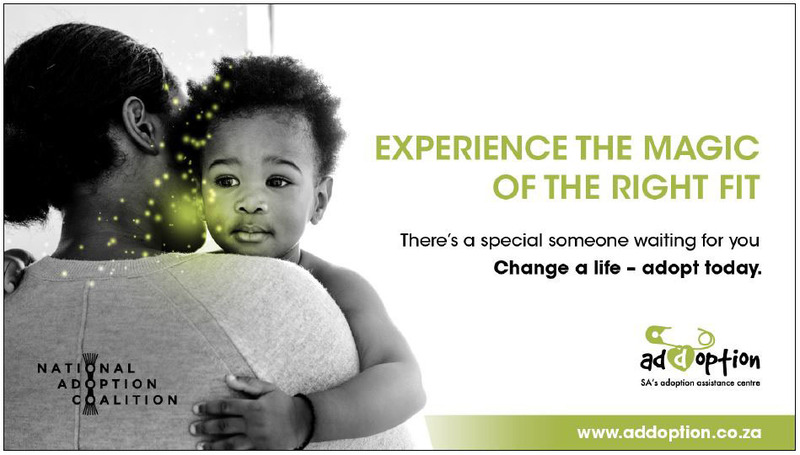 Finding that right fit could be as easy as visiting www.adoption.org.za; emailing info@adoption.org.za or sending a WhatsApp to 07252134290.